Murian X50 Is The Latest Electronic Dictionary In Korean Market! 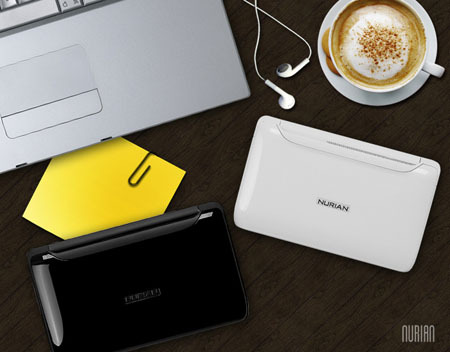 Hannuribiz is one of the Korean companies has announced a new compact electronic dictionary. The name of the dictionary is Murian X50 that comes in the look of a Laptop that features a 4.3-inch (480 x 272) touchscreen display. At the same time, the Electronic Dictionary is able to provide you an 8GB of internal memory and you can expand it using SD or MMC. In addition, other important features of the Electronic Dictionary are an MP3 Player an E-Book reader. Unfortunately, the other details of the device like price and availability haven’t yet been announced. We look forward to know about the device more.